Find out how to transport your antiques to Australia - packing services and procedures! Free estimate! Antiques are collected for many different reasons. They are desired because of their age, beauty, rarity, usage, emotional ties, or because of other unique features and market value. Find out how to ship them to OZ without a damage. Do not take risk when shipping antiques to Australia from UK. How to send antiques to Australia from the UK? Antiques that belong to the Group 1 can be shipped duty free and there are no taxes to be paid. Items sent by sea and air are subject to SAC declaration which can be lodged with Australia Customs Service. Antiques that arrive in Australia by international mail do not need any SAC declaration. Antiques that belong to the Group 2 and have been transported to Australia by sea, air or mail have to be declared. It is very likely that there will be some taxes to be paid – duty and GST. Furniture older than 100 years can be shipped to Australia duty free if you posses a Certificate of Antiquity. Unfortunately GST still applies. Please make sure that the certificate you provide is original and made by an approved authority. If the customs and border officers are not happy with the documents provided may send your antiques for examination at your cost. Shipping antiques does not take place with every move, however, if in your house or apartment is such furniture it should be shipped with at most care by a professional international mover. Very often antiques have a sentimental value so it is not always only about the money you can lose but also about your memories. First thing that should be said, antiques cannot be considered as all other everyday use furniture - they are quite specific, more delicate, more expensive and very often can’t be replaced. How to protect and prepare antiques for shipping? This is the principle and you should remember it. The antiques should be moved in one piece without dismantling. Anyway in most cases antiques can’t be taken to pieces. Many years ago, drilling technology and Allen head screws were of course unknown. Most of the antiques like chairs, grandfather clocks, vintage furniture, antique armchairs, sofas and cupboards were simply glued. They can’t be dismantled, so moving in one piece is the only option. In such situation, of course, there's no way to do it just by yourself. 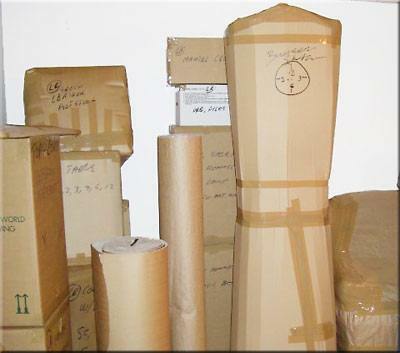 It is advisable to use a qualified international antique shipping company to Australia. When sending delicate, precious and fragile antiques to Australia from UK it is a must to wrap and pack them to prevent them from any potential scratches and other mechanical damages which can lead to the loss of value. Luckily you can avoid it by using our international packing services. For antiques we suggest you consider building custom wooden crates, containers or pallets for safe delivery. Protection of antiques is absolutely necessary and it is one of the most important thing to be done when it comes to sending antiques overseas to Sydney, Melbourne, Brisbane, Canberra etc. Before wrapping and protecting the corners all the content of chest of drawers , wardrobes, bookcases should be taken out. Loose items can damage you antique from the inside and can brake on their own too. All fragile elements, parts made of glass, protruding bits should be taken apart as long as it is possible and will not make any damage. Well wrapped, secured and protected antiques need to get out of the apartment, but how? Antiques made of a solid wood both small and large are very heavy. 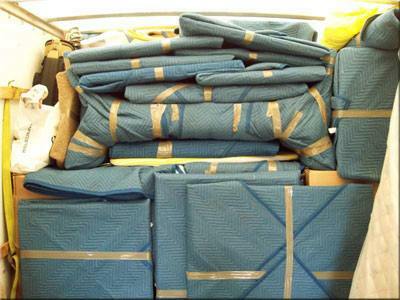 In addition to the help of others, it is easier to use special furniture moving belts . The belts are irreplaceable when we have to carry it down and up the stairs. In general to safely move antiques down the stairs four strong movers are needed. Transportation of antiques to Australia is a very difficult and particular task. Taking into account the value and the uniqueness of such furniture, perhaps you should also be insured when shipping from the UK? The appropriate policy will provide protection and ensure you receive a compensation in case of an unexpected damage to your armchair, sofa bed or other piece or antique. Can I ship antiques to OZ duty free? Is it legal to import / export antiques to Australia? What’s the cost of shipping antique armchairs, sofas, beds, tables, grand pianos, grandfather clocks and chest of drawers?